Known dually for keeping his cool in the face of chaos and for his creative approach to on-the-spot problem solving, Matt has been an asset to Saz’s for over 16 years. It was as a 14-year-old dishwasher at a family friend’s Italian restaurant that Matt got his first taste of hospitality – an industry with an excitement that hooked him from the start. Perhaps it is that same adrenaline-fueled draw that urged Matt to study Criminology at Marquette, but it was the commitment to superb customer service, excellent food, and the flawless execution of “The Finest” events in Milwaukee that pulled him back in to the industry as a Catering Associate for Saz’s many years ago. Since then, Matt has earned the title Associate Catering Director, a role that keeps him plenty busy overseeing the organization’s daily operations. And still, Matt holds tight to his passion for successful event execution – and even more so to overcoming the unique challenges that accompany off-premise catering. Together with the team he’s helped develop, Matt is confident that all events are opportunities for excellence – even those that seem, to others, impossible.  So when you’ve got something crafty brewing that is dismissed as too elaborate or challenging or grandiose; something where only the best of the best will do – pick up the phone and dial Saz’s, because that’s when Matt steps in. Care to issue today’s challenge?